A friend showed me the blog at http://tatiyants.com/ which has an awesome archive widget. I want one. 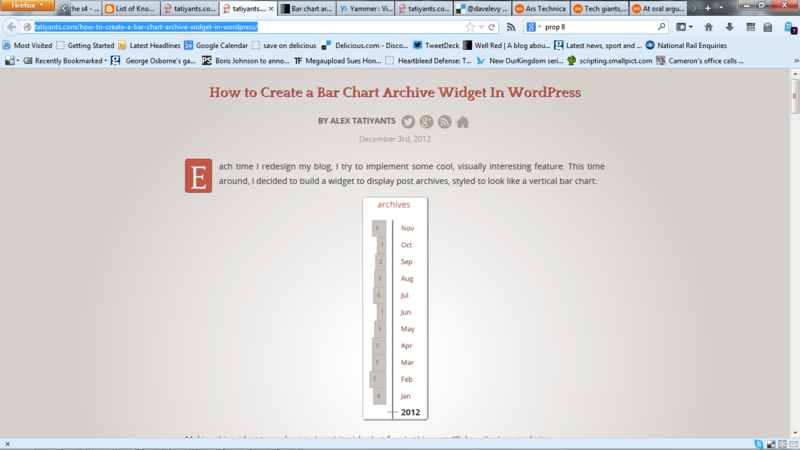 Fortunately Alex has documented how to build one, in an article called “How to create a bar chart archive widget in wordpress“. This leaves me with how to install a widget, a quick google, takes me to here, “How to create a custom wordpress widget”. While looking for this I also found, this at 3do labs, which points at the collapsing archives plugin.